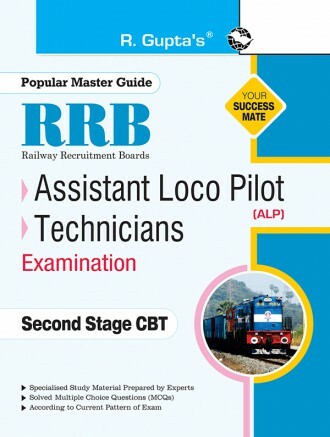 The present book is specially published for the aspirants of Assistant Loco Pilot (ALP) & Technician recruitment exam (Second Stage – CBT) organised by Railway Recruitment Boards (RRB). The questions in a Solved Model Paper have been provided in the book for aspirants to be familiar with the exam pattern and the type of questions asked, and their answers. Detailed Explanatory Answers have also been provided for the Selected Questions for Better Understanding of readers. 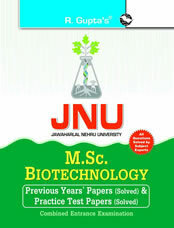 The book contains ample amount of Study Material and Question-Answers on all the subjects and topics from the point of view of the exam. All the practice questions have been solved by respective subject experts with due diligence. Based on the Current Pattern the book will prove very useful for study, practice and during the precious moments before the exam. The book is highly recommended for the aspirants to Sharpen their Problem Solving Skills with thorough practice of actual exam-style questions and numerous practice questions provided in the book, and prepare themselves to face the exam with Confidence, Successfully. While the specialised study and practice material of this book Clears the Tracks for your Success, your own intelligent study and practice with it will ensure you a Perfect Start for a Bright Career with Indian Railways.